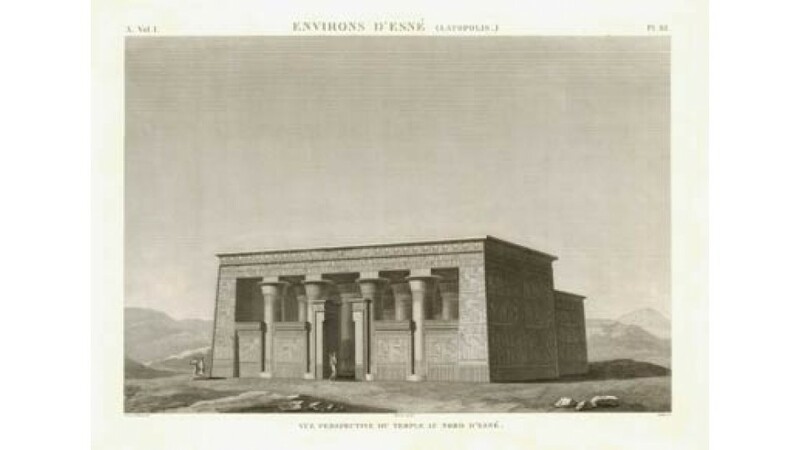 Vue perspective du temple au nord d'Esnee' View of the temple to the north of Esne From Napoleon's Description de l'Egypte published after the expedition to colonize Egypt in 1798. 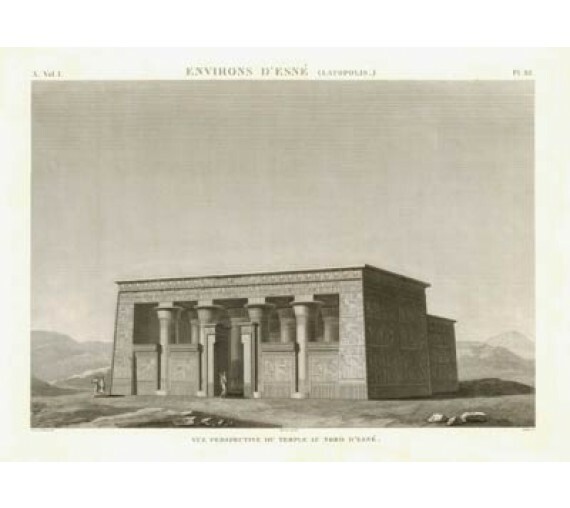 Napoleon included a number of artists in his army who were instructed to record Egyptian society. 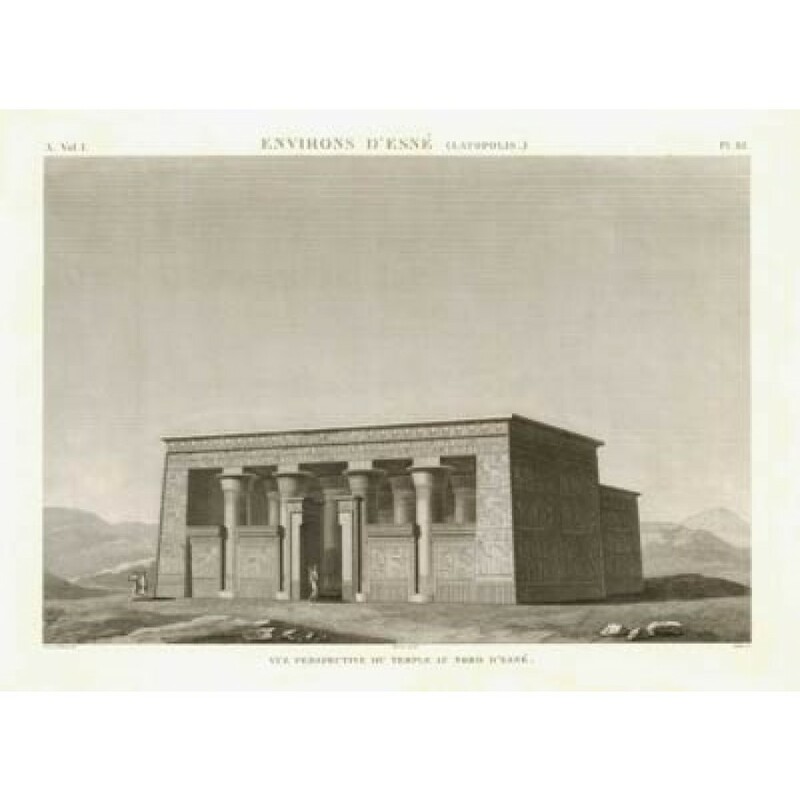 The resulting works formed an important historical account of Egypt at that time, with detailed and accurate images including monuments and cities.